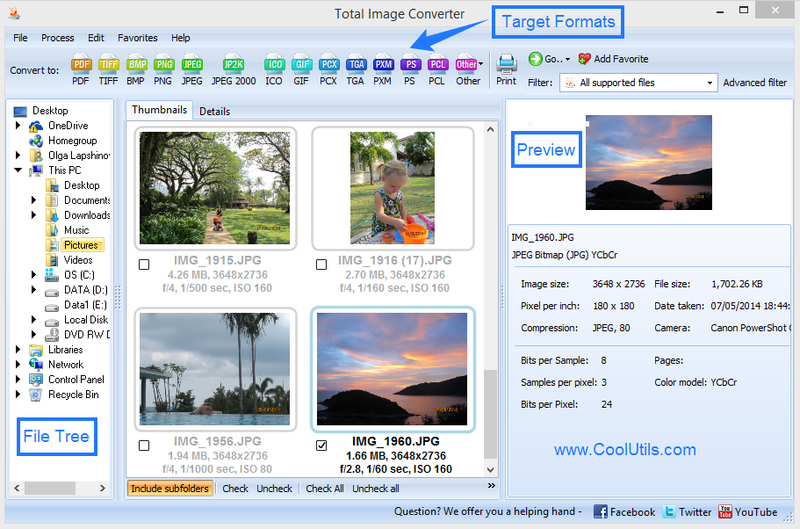 You are here: CoolUtils > Total Image Converter > Convert PSD to GIF with accurate results. While the popularity of GIF graphic format currently goes down due to the appearance of more efficient PNG and JPEG, it is still popular and widely used for storing and sharing graphics online. 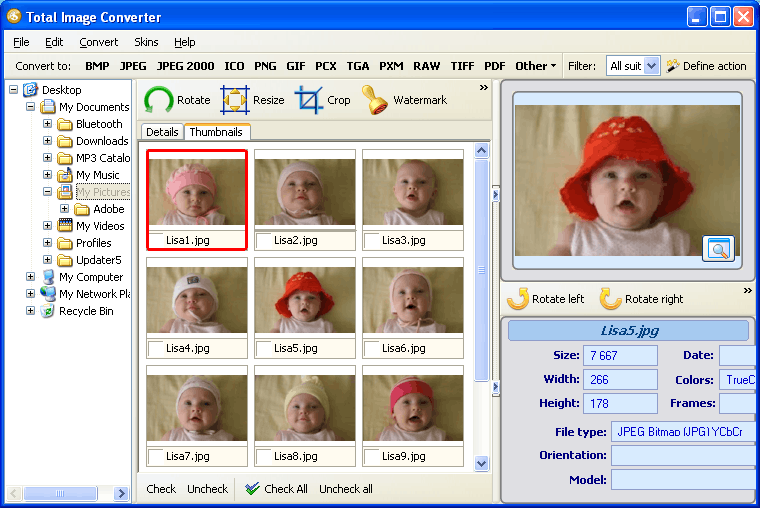 Compared with PSD, it provides with less quality but it is highly efficient in terms of file size. That is why it is still popular to convert PSD to GIF. 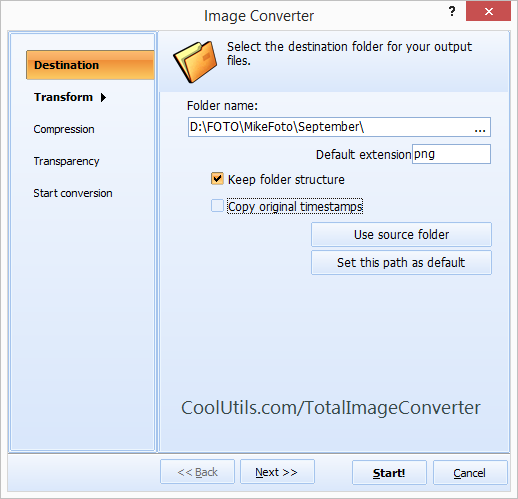 As a rule users dealing with graphics need to process dozens of files everyday and prefer batch conversion that allows to convert many files at a time. 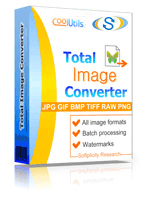 You can also save your valuable time using such feature offered by Total Image Converter. Confirm conversion using ‘Start!’ button located at the bottom of options wizard. If you need to use PSD converter, select PSD files as a source and click on ‘GIF’ button in the format bar (under the main program menu). When making settings, pay attention that you can secure your files from unauthorized use by adding a watermark. This can be either your corporative logo, frame (image) or text comment printed on each converted GIF file. You can choose one of 7 available positions for putting a watermark onto images.